Jacquelyn Jablonski has such a strong face. Her piercing expression paired with that raspberry coat is all kinds of perfection. did that last comment go through? im having bad luck commenting today lol! as i was saying: agreed: she looks stunning and the strong beauty in her face is really striking in this shot. the color...the cut..the model Amazing. 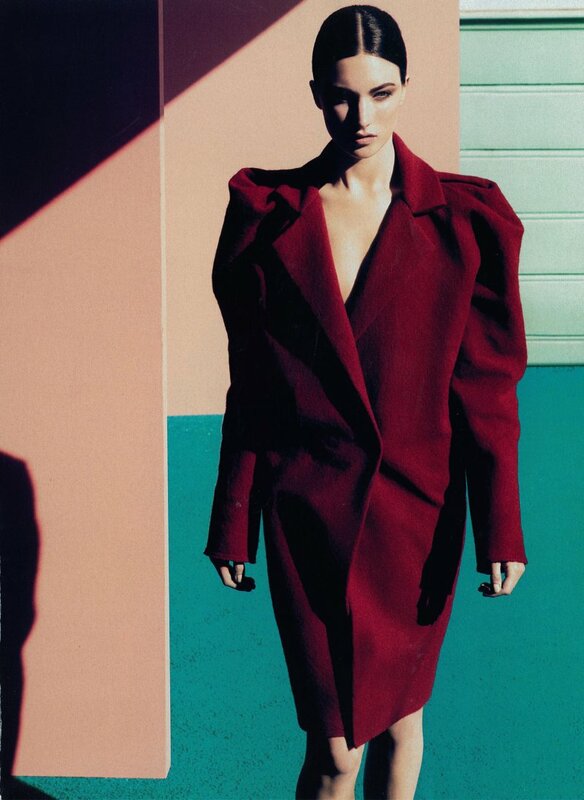 I really love the pic against such a bright background too.. Do you know who the coat is by?